Senior lecturer at Hebrew University of Jerusalem documented shouting at female student who arrived to class in IDF uniform. Dr. Carola Hilfrich, senior lecturer at the Hebrew University on Mount Scopus in Jerusalem, was documented shouting at a student who arrived at a lesson in IDF uniform, Kann News reported. The student was harassed by an Arab student and reported the incident to the lecturer, pointing out to her that there was a curriculum for military personnel. Hilfrich replied, "This isn't our class; you can't be naive, to be here in uniform and want to be treated as a civilian." The lecturer scolded the student: "You are a soldier in the Israeli army and they'll treat you accordingly." The student clarified that she does not enter politics and serves to defend the State and its citizens. "It bothers you that I'm sitting in uniform in the classroom?" asked the student. "There are people whose civil society is as important to them as the army is to you and you must accept their priorities as tolerantly as they accept and confront your priorities," answered Hilfrich. "If you have something to say, write a letter. I have other matters, I listened enough and told you what I think; you don't even respect my time," the lecturer said. The Hebrew University said in response: "The Hebrew University honors all its students, including those who come to study during their military service, whether they are regular soldiers, career soldiers, or reservists. These students also receive additional academic support if necessary. 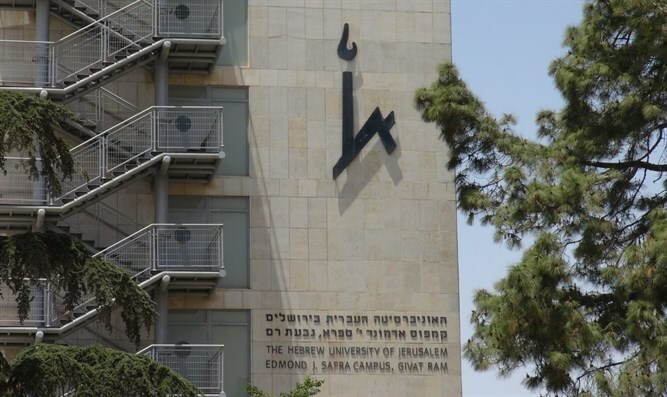 The Hebrew University's management condemns disrespectful behavior between students and students, and between faculty members and students. The university and the lecturer apologize to the student who felt hurt, and we will continue to work to strengthen the sense of personal security of each student. "